The nationally recognized Sacred Heart Studio is a superior recording venue for any music genre—classical, rock and roll, jazz, folk, country and blues. The studio features a large selection of vintage analog and state-of-the-art digital equipment, including a 24-track tape machine, 48-track Pro Tools recording system, two grand pianos, a Hammond organ with Leslie cabinet, vintage guitar amps and the Felgemaker pipe organ. Sacred Heart’s main sanctuary provides magnificent acoustics, and, for a unique influence on sound and ambience numerous other recording spaces are available—confessional, choir loft, vestibule, altar, bell tower and the marble-tiled bathrooms. 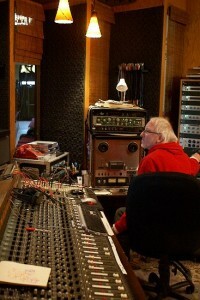 A number of local, regional, and nationally acclaimed performers such as Low, Charlie Parr, Trampled By Turtles, Retribution Gospel Choir, Dark Dark Dark, Mary Bue, Sara Thomsen, Coyote, Cars and Trucks and the Crash Test Dummies have discovered the Sacred Heart Recording Studio is an ideal setting to capture their unique sound. For tracking, mixing or mastering a recording project, or to record and film a live concert video in the studio, please contact us to check out Sacred Heart Recording Studio.